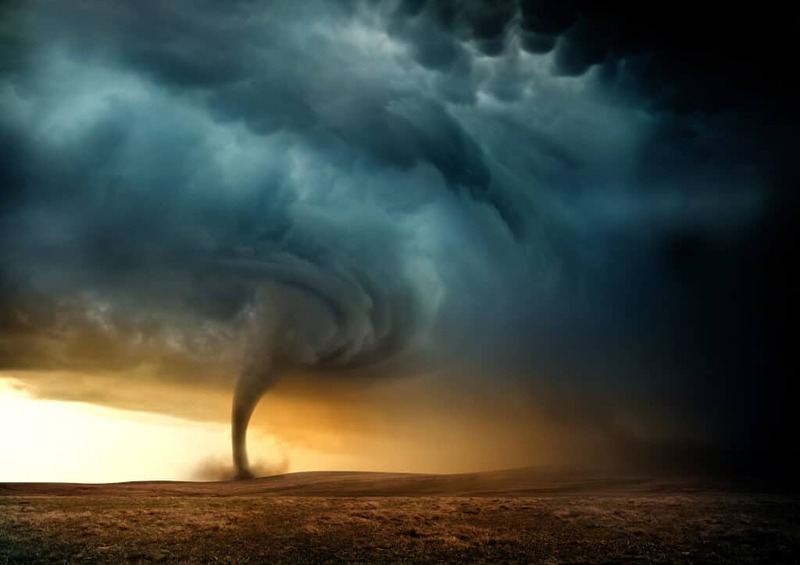 In the Spring, tornados on the east coast begin gearing up and can cause havoc for everyone, especially those who have chosen mobile home living as their dwelling. If you are not prepared, your home, as well as your physical safety, are at risk from hail, heavy rain and flooding, and lightning strikes. In many areas of the country, tornado warnings often accompany severe storms. According to ready.gov/tornados, “A tornado appears as a rotating funnel-shaped cloud that exceeds from a thunderstorm to the ground with whirling winds that can reach three hundred miles per hour.” Mobile homes, particularly older single wides, are not equipped for winds at this speed. Tornados are not the only threat to affect mobile home living residents on the east coast. 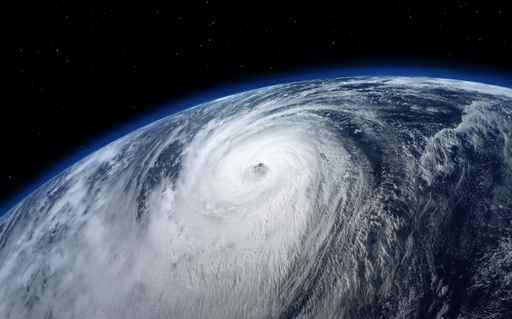 During late summer and early fall months, hurricanes are also a danger. Ready.gov/hurricanes defines a hurricane as, “a type of tropical cyclone or severe tropical storm.” Hurricanes can produce winds in excess of one hundred and fifty-five miles per hour and often have micro storms or tornados. Large amounts of rainfall in a relatively short time and for those living on the coast can result in excessive flooding. To properly prepare for a severe storm, tornado, or hurricane, mobile home living residents must take the proper steps to secure their home and know what to do when a storm hits. Keep an emergency kit including food, water, and medication for three days minimum. Choose food that will be easily consumed and remain safe. Also, keep essential documents in a water-safe container. If you have pets, be sure and plan for them as well. Plan for shelter. Know where you will go if you must evacuate and what items you need to take. Many shelters do not allow pets so pet owners must plan in advance. Keep shrubbery and trees around the home trimmed. Remove any debris or loose items such as chairs, tables, and trash bins. Check roofing materials and reinforce as needed. Older roofs may be worth replacing with stronger materials. Invest in an anchoring system. Anchoring systems should include straps (or ties) and anchors. Ties are secured to either a ground anchor or a concrete deadman anchor. Some anchors can be attached to the foundation. Tornados may occur without any notice. Warning signs include: dark, often greenish sky, large hail, large, dark, low lying clouds (sometimes rotating), and a loud roar. If you are unable to seek shelter and must stay inside, move to an inside room. To prepare for possible storms, it is wise to reinforce the inside room. “We have evidence that we can construct affordable housing that is resilient,” said Leslie Chapman-Henderson, president of the Federal Alliance for Safe Homes, a nonprofit organization dedicated to protecting property from disasters. Safety anchors come in two types, over the top and frame ties. According to the College of Agricultural and Environmental Sciences at the University of Georgia, for homes that are ten, twelve, or fourteen feet wide, both types of straps are needed. For double wide mobile or manufactured homes that are larger than fourteen feet, only the frame ties are needed. The ties must be secured to an anchor. Typical anchors are buried underground approximately four to five feet. The depth is determined by how saturated the ground is prone to be and to the possibility of flooding. The greater the chance of ground saturation and flooding, the deeper the anchor needs to be buried. As water collects in the soil, the soil loosens, which results in the anchor’s ability to move. If you are pouring a concrete slab around the home or as the foundation, a concrete anchor may be installed first. Once you have the anchor set and have applied the straps to the home, adjust the straps to maximize security. It is wise to take the extra step and enlist in the service of a home inspector. The inspector has the proper education and experience to ensure your home is as safe as possible. With a little preparation and hard work, mobile home living does not mean total loss during a storm as it once did. By taking necessary precautions such as having a plan, evacuating when necessary, and strengthening your home, you can often reduce the damage that may occur. For more information on tornados, visit ready.gov/tornados. For more information on hurricanes, visit ready.gov/hurricanes. There you can find more information on emergency kits, dangers, and signs of impending storms. We learned about flood insurance after southern WV had the horrible flood in 2000. Our hometown and the town beside of it was practically destroyed and lots of people didn’t know flood insurance was separate. We saw so much loss and pain – I don’t think I’ll ever forget that. I hope you the best in the future! Up here in the Pacific Northwest we have to prepare for earthquakes. One thing I learned, was that earthquake insurance is a separate addition, and charge, to my homeowners insurance, something to consider. Thanks for the great tips here!! Thank you Jeni!! I appreciate you letting us know about that! Hope you are doing well – it’s always great to hear from you!